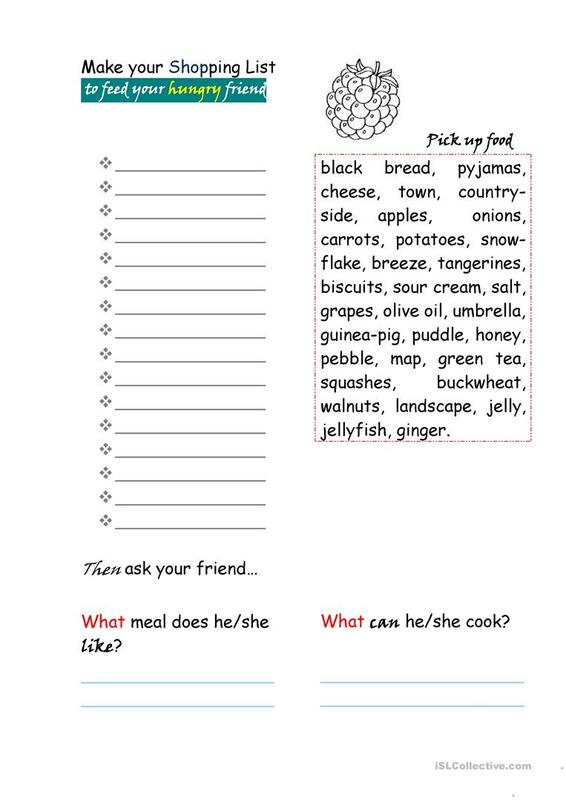 Sorting words activity: food in focus. Two questions for short conversation. Helps to activate vocabulary on food. This downloadable handout is a great resource for elementary school students at Elementary (A1) level. It can be used for strengthening your pupils' Writing skills. It is focused on the theme of Food. WhiteRabbit is from/lives in Russia and has been a member of iSLCollective since 2012-09-28 19:36:30. WhiteRabbit last logged in on 2012-10-23 01:46:07, and has shared 3 resources on iSLCollective so far.